Positive: Powerful processor; great built quality; high autonomy; smart stylus pen. Negative: No microSD slot; mediocre design; poor selfie camera; relatively high price. Positive: Decent processor; metal case; high autonomy; smart stylus pencil; nice accessories. Negative: No microSD card slot; mediocre design; poor selfie camera; relatively high price (pencil). Positive: Beautiful design; powerful hardware; nice performance; excellent display. Positive: Good price; powerful hardware; good connectivity; nice display. Positive: Good price; smart stylus pencil; nice performance; solid workmanship. Positive: Powerful hardware; high performance; good price; smart stylus pencil. Positive: Solid workmanship; nice display; fast system; decent autonomy; smart Apple pencil. Negative: Only 2GB RAM; poor cameras. 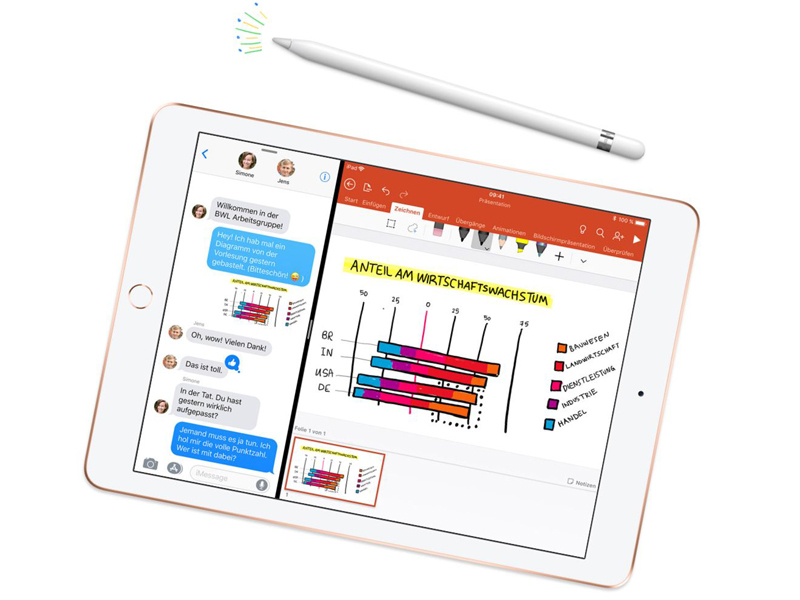 Positive: Good price; powerful hardware; smart Apple Pencil. Positive: Smart stylus pencil; high performance; powerful processor; good price. Negative: Poor display. Positive: Good price; smart stylus pencil; nice design. Positive: Good price; excellent display; high performance; smart stylus pencil. Positive: Good price; smart stylus pencil; metal case; solid workmanship; decent display; good hardware; nice connectivity; long battery life. Positive: Good price; smart stylus pencil; decent hardware; nice performance.